The ability to attract, retain and train specialized IT talent is a challenge for many organizations. And, with the rapidly evolving nature of technology and business needs, the demands for IT resources can fluctuate dramatically. Project implementations often require additional resources or expertise beyond that of the internal IT staff. Hiring, training and sustaining additional permanent, full-time staff members is not always feasible or cost effective. Companies are dependent on seamless service delivery from their IT Departments. The absence of skilled resources, planned or unforeseen, can cause delays that cause productivity and financial losses. Worse, a loss of critical skills can leave a department unable to respond to problems that arise. The agility of your IT organization can impact your business outcomes. 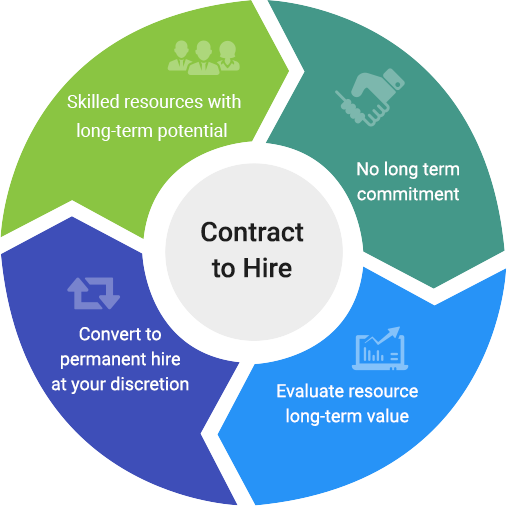 Therefore, contract hiring has become an essential part of supplemental staffing for many companies and strongly funded startups. 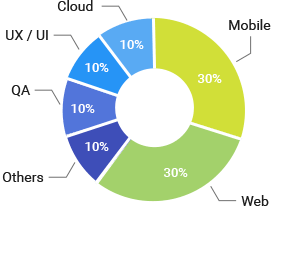 Mobisoft’s “Developer as a Service” provides access to our in-house technical talent pool. Our staff augmentation service expedites companies efficiency through onsite or offshore developers engagement. We have the right blend of technical expertise, business acumen and soft skills to fulfill your culture and organizational requirements. Mobisoft Infotech delivers IT specialists and teams to fulfill skill needs for Temporary, long-term contract-based needs to team-based or project-based staff augmentation. Mobisoft provides technically skilled, motivated and competent remote developers on contract from our development center at Pune, India as an extension to your team. Our full-time developers from India are handpicked after assessment of their technical, communication as well as interpersonal skills. They will work seamlessly as part of client’s team to deliver quality solutions. We carefully analyze all of your requirements and provide best suitable onsite developers on contract from our in-house diverse pool of 200+ programmers, designers, team leads and project managers for your work. We offer onsite development services for all software development activities and with the engagement model you can hire developers onsite on contract. We provide the best software professionals at your location to work exclusively on your business projects. It is a combination of Onsite + Offshore resource engagement. 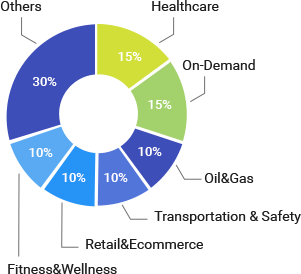 Under hybrid model a separate team stationed locally would attend to technical consultations with our business partners and handles business requirements gathering, architecture, project management gathering information on competitor’s activity, etc. The actual Implementation specific work will be executed by offshore developers for better economies. This monthly resource model is offered to client/partners looking for a dedicated resources to work on their offsite/onsite development projects on monthly billing cycle. We are global technology service company, with the blended experience of working with startups to large enterprises. We offer flexible engagement models such as extended-teams, onsite development and resource staffing, remote developers, offshore development center for short and long duration. Mobisoft offers unique contract IT staffing service from its in-house software professionals. Our software development practice contributes to its staffing business through multi-skilling and technology enablement for employees across business divisions. With multiple growth options, Mobisoft aims to allure talents and boasts of lower than industry attrition standards. Get on-demand access to experienced professionals in areas of emerging technologies with monthly contracts.This eliminates the search for and expense of an unnecessary full time employee when you need one. Mobisoft provides onsite staff augmentation service with team of expertise that helps enhance the business strategy, development, design, testing, implementation and maintenance, indeed a team that can augment your staff for short or long run. This will let your existing resources to focus on scalable initiatives. We do not outsource. We employ full-time in-house developers to maintain the highest levels of quality resources and integrity. We evolved alongside all the software, business and technology over the period of 7 years. Essential technical skills to assist your IT staff with special projects requiring advanced expertise. An in-house resources of over 200 software professionals with a minimum 3 years of experience in Mobile, Web, Cloud, UX/UI and many other latest technologies. You can scale your dedicated team up or down as needed if utilization changes. Dedicated developers follow an Agile methodology by becoming an important area of your daily scrum and frequent reporting that allows you flexibility for better execution. On-demand access to experienced professionals with monthly contracts that eliminate the search for and expense of an unnecessary full time employee. You can take benefit of both in-house and offshore resources either by combining them or individually. Our offshore developers in India will pick up the project where you left off, as and when your business day ends in order to achieve round the clock development. We carefully hire, train and provide benefits to all our talented employees. When Mobisoft controls the staffing and all recruitment related administration costs, you save up to 60%. We don’t typically deal as your outsourcing firm; more than 70% of our engineers are bachelors in computer science degrees with extensive hands-on experience in the latest technologies. Here at Mobisoft, we source only the best engineers. Over 70% of our in-house developers are graduated in computer engineering that can serve the needs of the tech industry that is constantly evolving. Also known as subcontracting, Staff Augmentation is primarily outsourcing of resources or manpower for limited period of time, on the basis of skill requirement or meeting aggressive project timelines. An efficient large-scale strategic saving can be made by an employer with temporary staffing. Staff augmentation helps in filling the gaps, particularly if any project needs an expertise. In difficult times, staff augmentation maintains the staffing in an effective and flexible way. It avoids cost of investing in development of internal skills. The staffing agencies will place resources on the basis of availability of manpower on contracts. This reduces the cost of benefits that are given to a permanent employment, such as sickness benefits, statutory benefits, holiday pay, insurance perks and other fringe benefits. Leveraging in the right skills for the right project seems like a smart idea. Q.Why should every organization have a Staff Augmentation Plan in place? A Staff Augmentation Plan enables an agile IT organization that rapidly adapts to a changing environment in productive and cost-effective ways. The absence of skilled resources, planned or unforeseen, can cause delays that cause productivity and financial losses. Worse, a loss of critical skills can leave a department unable to respond to problems that arise. The agility of your IT organization can impact your business outcomes. Senior, Human Resources, and IT Executives are increasingly recognizing the importance of implementing a Staff Augmentation Plan that enables a rapid response when needed. They’re also recognizing that there are cost-effective ways to augment their internal resources with high value skills that can help take their IT departments to the next level. We provide talent for all technology needs with right blend of technical expertise, business acumen and soft skills to fulfill your culture and organizational requirements. Staff augmentation is an ultimate way to manage the resources closely. It’s relatively easy to add or subtract resources to meet the demand with staff augmentation. A constant flux is required when companies need staffing through IT staff augmentation. Circumvents liabilities and costs of direct employees. More than a project outsourcing model, staff augmentation is often embraced by the existing employees. Integrating staff augmentation to manage resources with the existing business processes can be effective than to align those processes with external project teams. As it is pragmatic for an individual to adopt the processes of an organization more quickly than the alignment of 2 separate organizations with one another. Staff augmentation can efficiently fill the gaps when the team or the existing resources face gaps mainly of specialized skills. For the completion of their IT projects, a company can train and add new skill sets to the existing resources and leverage the advantages of both external and internal resources. Contractual IT staffing is particularly the best option or typically sometimes, the only option to complete the timelines of aggressive and active projects. When compared, a staff augmentation model is easy to adopt than a project outsourcing model. Basically, staff augmentation is just a switch from what a company usually does!